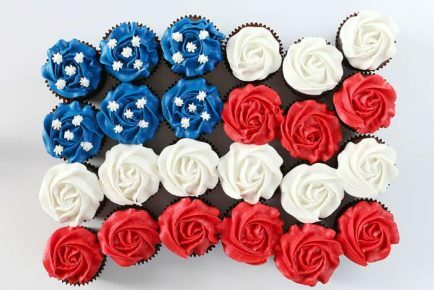 I am sharing 3 easy cake decorating techniques that any level of baker can do! 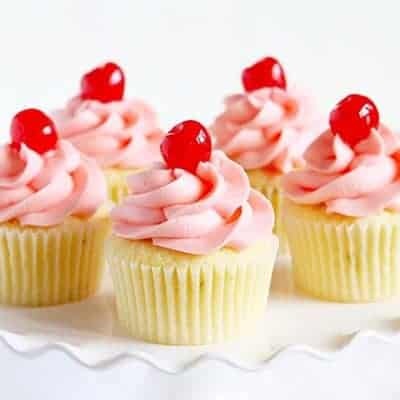 Three fun and easy designs that are delightful to see and taste! 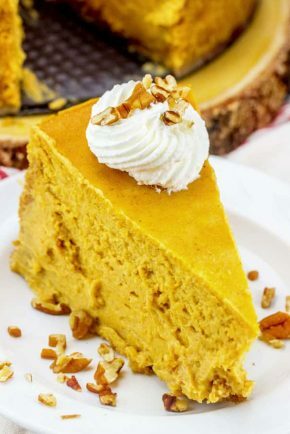 If you want all the best Cake Recipes, don’t lose my master list! 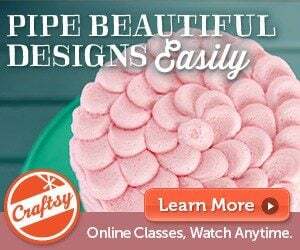 Have you ever wanted to become a cake decorator? 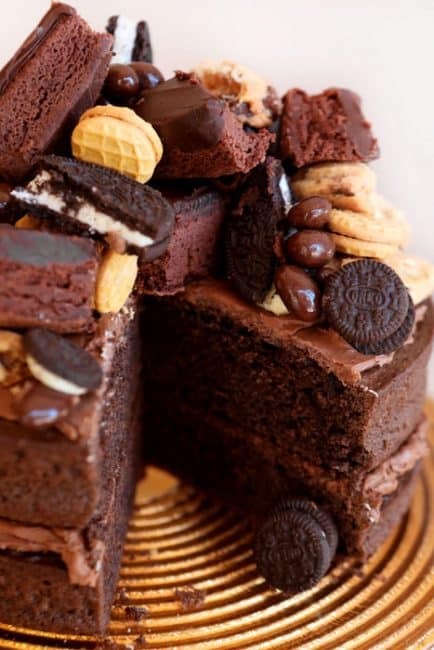 Or maybe you just want to create beautiful and delicious cakes for your loved ones? 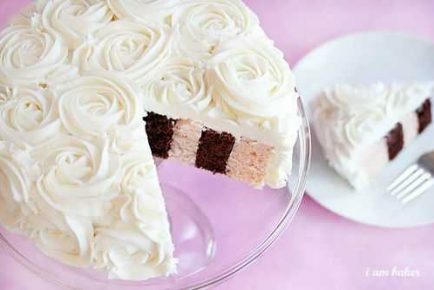 These simple cake decorating ideas are perfect for anyone who just wants a beautiful cake! The tools needs for these cakes are very minimal and the simple designs are very easy to adapt to your tastes. 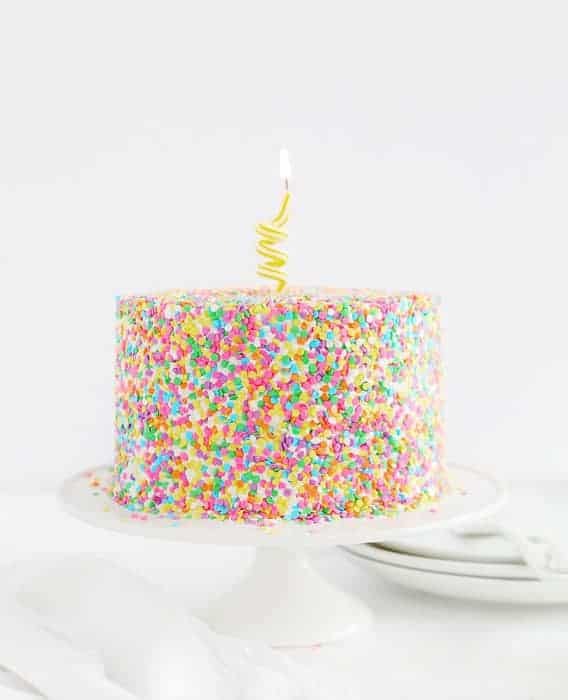 My favorite buttercream recipe for decorating birthday cakes is this whipped vanilla buttercream recipe. It is so smooth and easy to work with, not to mention delicious. If you want an EXTRA smooth frosting (no air bubbles) try adding it to your food processor for a few minutes. The texture is like none other! The same idea applies to my whipped chocolate buttercream which goes on my PERFECT Birthday Cake recipe! 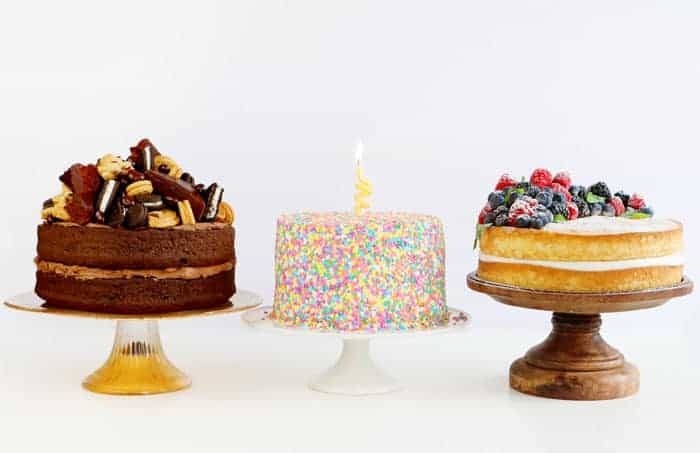 For these cakes, you do not need a strong cake decorating skill set. 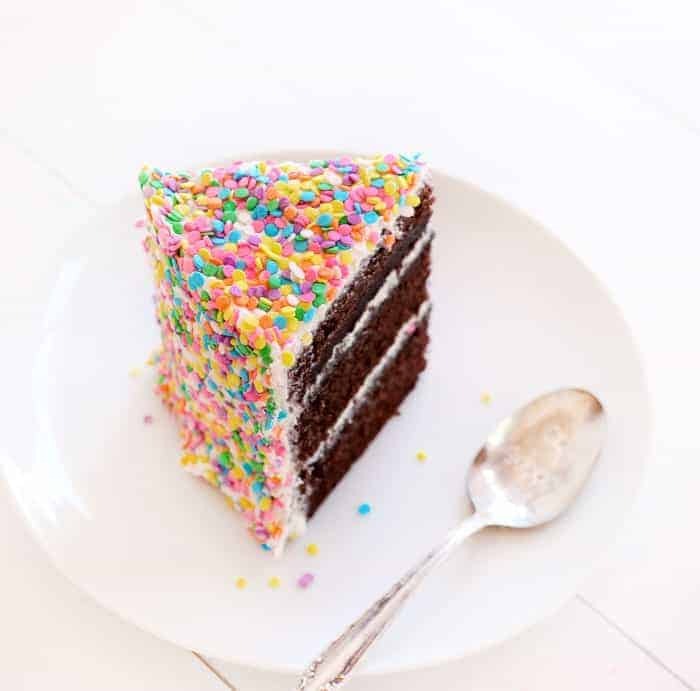 One cake has a thin crumb coat but gets covered in sprinkles so does not need to be perfect! The other two designs feature the beauty of the accessories… fruit and candy! Even though they are simple by design, the end result can be quite stunning! Bake cake in two 6-inch round cake pans. Prepare vanilla buttercream. Set the first cake layer on cake stand. (I always set my cake stand on top of a rotating cake stand.) 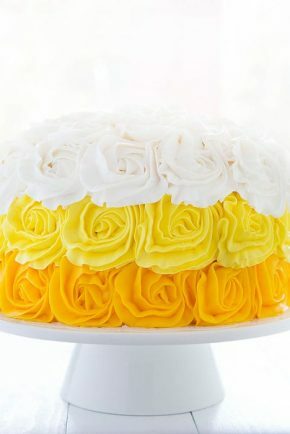 Spread buttercream between layers when stacking cake. Cover cake in a rough crumb coat. Set cake stand on a cookie sheet. 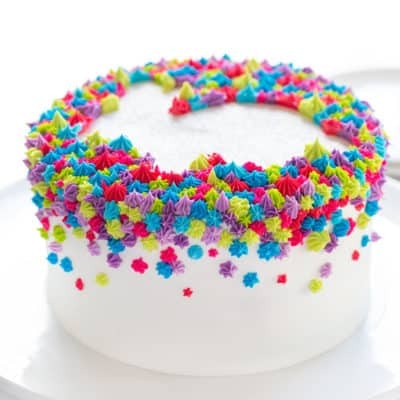 Take sprinkles in your clean hand and press into the side of the cake starting at the bottom and working up. Keep a clean towel nearby in case frosting gets on your hand. 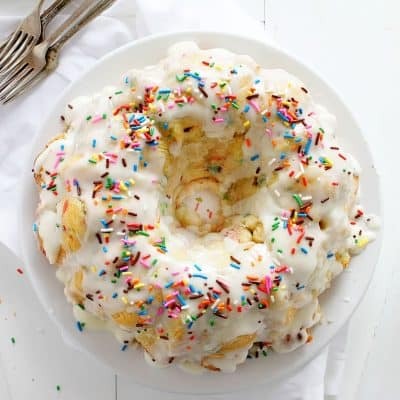 Press sprinkles over entire cake. You can stop at any time and scoop up the sprinkles that have fallen on the cookie sheet. 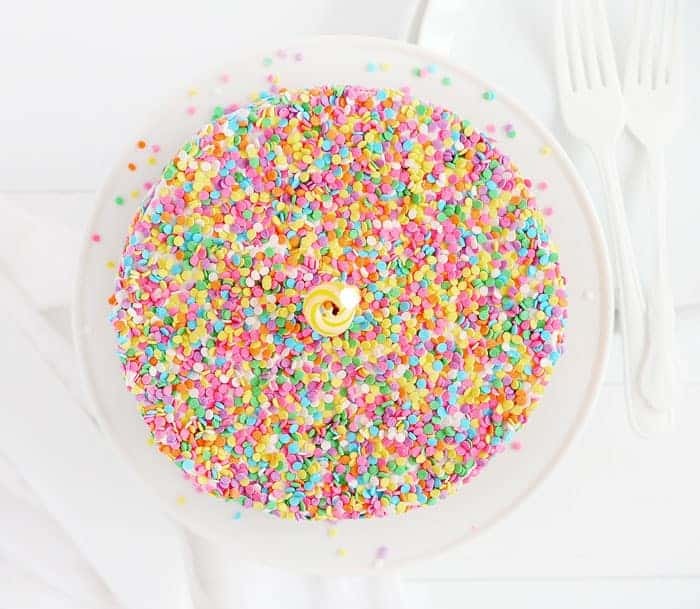 Using a fondant smoother or piece of parchment paper, press firmly against the sides and top of the sprinkle covered cake. Chill until ready to serve. 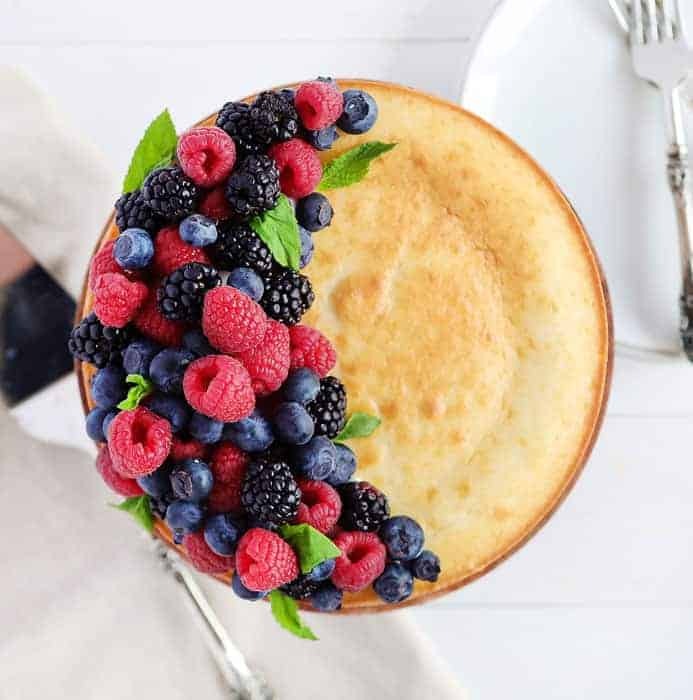 Bake vanilla cake in two 8-inch round cake pans. Prepare 1/2 batch of vanilla buttercream. Now take your fresh fruit and start piling on the cake. I like to start with biggest pieces of fruit first and then fill in with the smaller pieces. 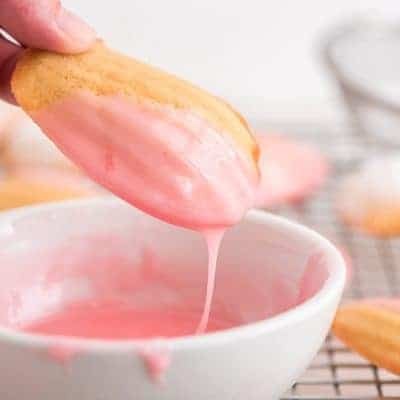 When done adding fruit dust with confectioner’s sugar. Serve immediately. 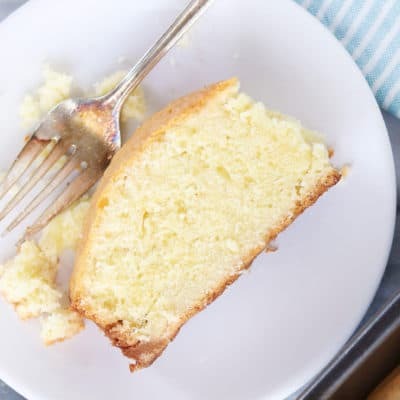 I can’t help but recommend my Perfect White Cake recipe for this cake. 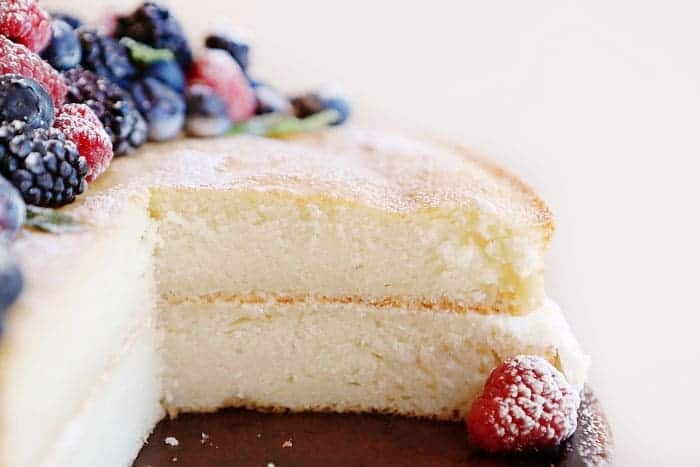 It is a beautifully dense cake with a perfect crumb and the most wonderful vanilla flavor! 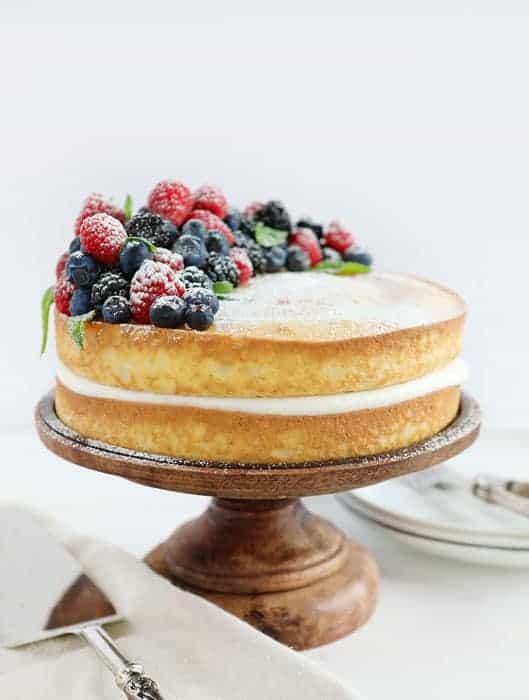 Paired with fresh fruit and the tiniest bit of vanilla buttercream, you have a cake that is easy on the waistline but tastes decadent! Bake chocolate cake in two 8-inch round cake pans. Prepare 1/2 recipe chocolate buttercream. Set the first cake layer on cake stand. Cover with some chocolate buttercream. Set next layer on top. Spread more chocolate buttercream on top. 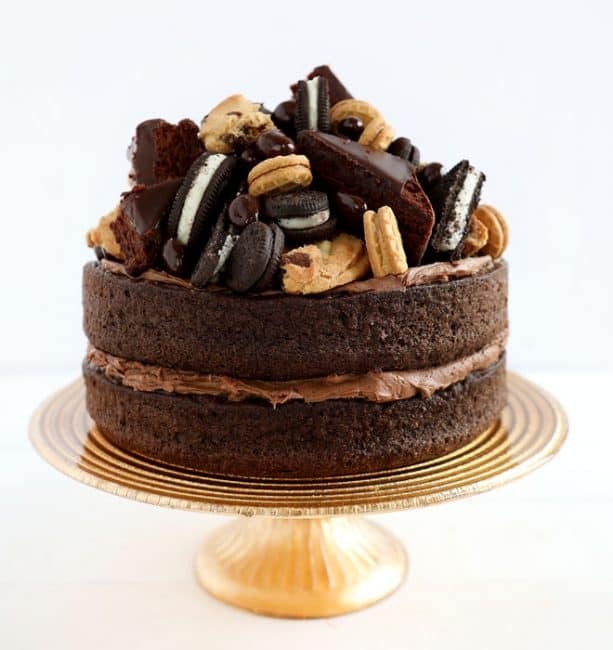 You can absolutely cover the entire cake with chocolate buttercream if you prefer! 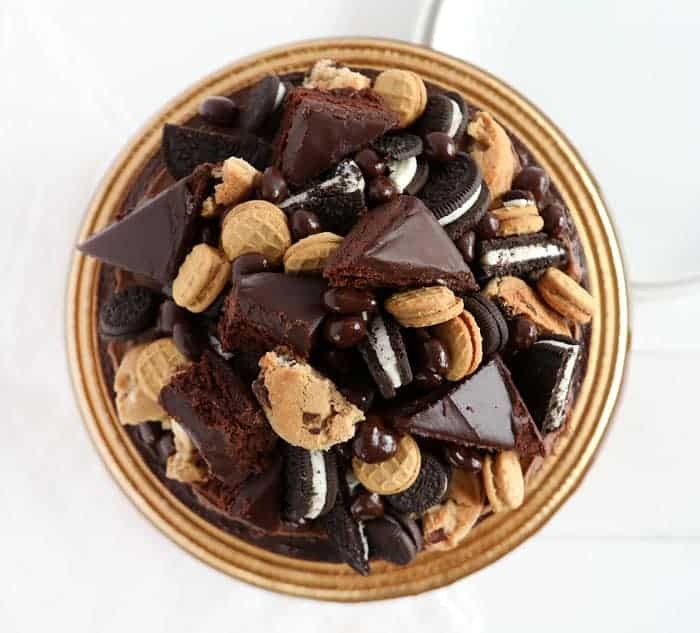 I also love a drizzle of hot fudge or chocolate sauce over top for extra drama! I used chocolate chip cookies, brownies, mini nutter butters, mini Oreos, double stuff Oreo’s, and chocolate covered cranberries. 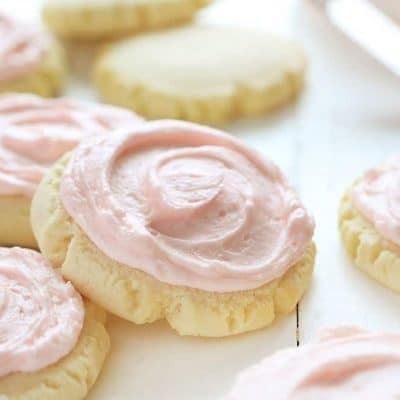 All of the ingredients were store bought and can be easily customizable to fit your tastes! You may be wondering… how do I cut this cake? 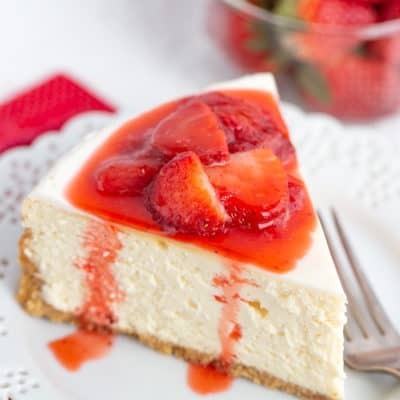 Using a sharp knife, just start from the top and work your way through the toppings to the cake. You may need to wiggle your knife a bit to maneuver through, but you should not have any problems. 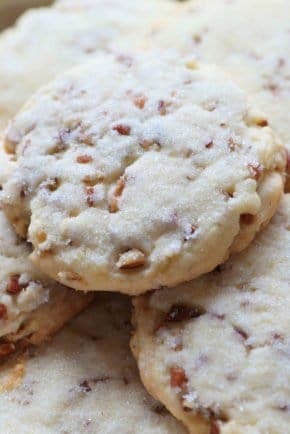 This cake is best served within 24 of making as the cookies and brownies will start to soften and taste less fresh when left out. I also recommend serving this cake at room temperature. When I am decorating a cake I usually have a few keys supplies on hand. Being able to turn the cake while you are decorating is a wonderful thing! I really like this rotating cake stand is this one by Ateco. It is very sturdy and always turns smoothly. By far my favorite tool is an offset spatula. 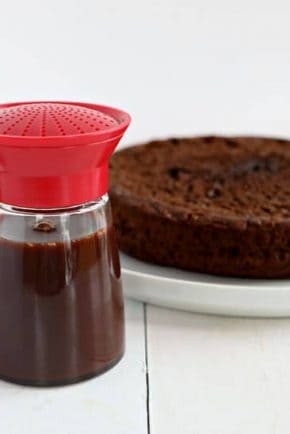 It works on big and small cakes alike and is very easy to use. Find an offset spatula here. Bench scrapers are using for the final, smooth layer of buttercream on a cake. (I didn’t need one with these 3 cake designs) If you chose to cover the chocolate candy cake with buttercream a bench scraper would help to make sure your frosting is smooth and seamless! This is my favorite GIR Bench Scraper. 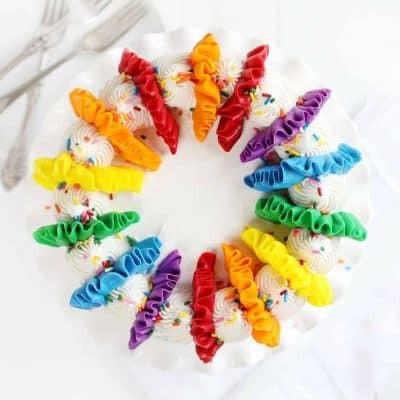 It is slightly flexible and works on any cake stand! Excited about the newer recipes. 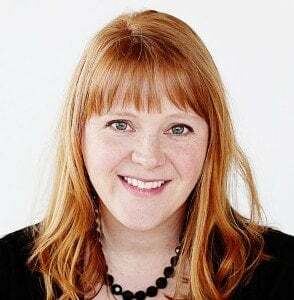 Enjoying creative cake decorating ideas! Much thanks.